For those wanting to reach the top ranks of healthcare administration, there are many educational paths to follow. One of the most popular choices is to pursue an MBA with a concentration in healthcare management. An MBA provides healthcare leaders with the business skills needed to take on the challenges currently facing the healthcare industry. Medical facilities of all kinds are facing the need to streamline operations and save costs while also increasing the quality of patient care. It’s a challenging situation. But earning an MBA can prepare future leaders with expertise in the latest business strategies as they apply to healthcare. That qualifies them for leadership in areas such as healthcare management, healthcare delivery, and quality assurance. The federal government projects a 20% increase in the number of healthcare administrators by 2026. Part of the drive behind the growth is an aging U.S. population in need of more healthcare services, as well as the fact that people are staying active later in life, according to the U.S. Bureau of Labor Statistics (BLS). The states with the highest number of healthcare administrators include California, New York, Texas, Ohio and Pennsylvania. Florida, Illinois and Massachusetts also employ some of the highest numbers of healthcare administrators. All those areas offer an annual mean wage that is higher than $115,000, according to the BLS. While earning either a master’s degree in healthcare administration (MHA) or an MBA with a concentration in healthcare administration can qualify you for leadership positions in the field, there are some differences for those who earn an MBA. The healthcare industry across the board is currently involved in a systematic overhaul that will lead to more cost-efficient care as well as better patient outcomes. Those in an MBA program typically focus more on financial issues such as risk management, budgeting, financial investment, and workforce efficiency. All these can apply directly to needed changes in the healthcare industry. 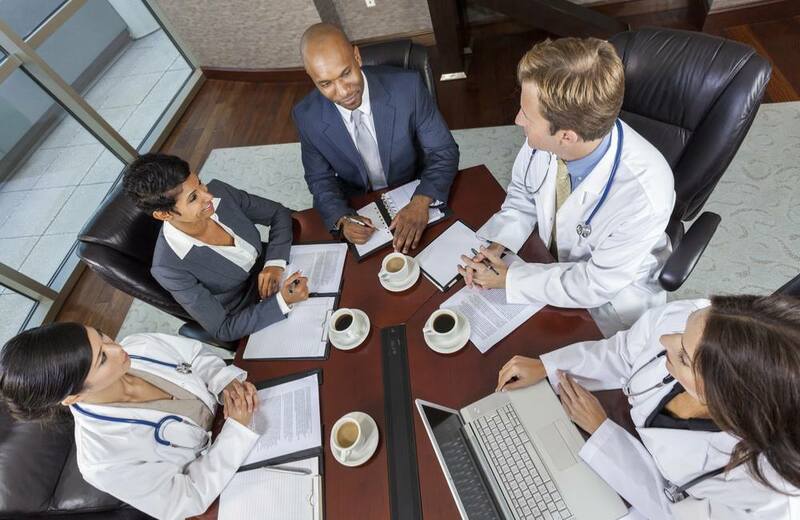 MBA programs often focus exclusively on management theory and strategy that is universal but certainly can also apply to the healthcare field. An MBA remains the gold standard for getting the top jobs in any organization, including healthcare. MBA programs also typically focus on developing team leadership skills, which can lead to expertise in tactics that bring creativity to solving complex issues. Whether it’s studying project management or other process improvement methodologies, MBA graduates leave school with a high level of skills in applying process improvement tools and techniques to any kind of operation. In-depth study of business management can give MBA graduates an edge in bringing the latest process improvement ideas to solving complex challenges in the healthcare system. If an MBA graduate with a concentration in healthcare administration eventually leaves the field, they will have a set of business and management skills that are transferable to any industry. Also, within healthcare itself, they will have skills that apply at any number of healthcare facilities, including hospitals, clinics, laboratories, assisted living facilities, and government healthcare agencies. There is no “one size fits all” way to enter the ranks of healthcare administration. But in today’s business climate, earning an MBA with a concentration on healthcare administration management can give graduates the right skill set to take on the complex challenges that face healthcare in the 21st century.